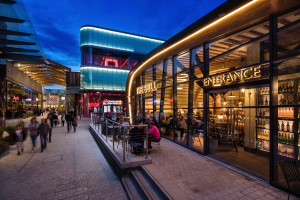 Six months after opening, The Lexicon Bracknell is proving itself as the retail, leisure and dining destination of choice across its Berkshire catchment and beyond. 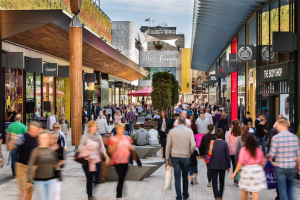 Research by FSP Retail Business Consultants showed that the greatly improved town centre is the destination of choice for 61% of people living in the catchment, despite the availability of alternative choices in Reading, Camberley and towns further afield. This is up from 17% in the opening week, reflecting previously poor perceptions of the town centre from before the redevelopment begun. The new town centre was developed by the Bracknell Regeneration Partnership (BRP), a 50:50 joint venture between Legal & General Capital and Schroder UK Real Estate Fund, working with Bracknell Forest Council. Responding to the strong footfall since opening, the BRP has increased its footfall projection for the first 12 months to 16 million, up from 12 million, predicted at the start of the construction work. In particular, during the week of 18 December, The Lexicon welcomed over 500,000 people, with footfall of 8.4 million achieved in the first six months of trading. Yesterday, Bracknell Forest Council won Gold at the 2018 iESE Transformation Awards in the Community Regeneration Category for its work with the Bracknell Regeneration Partnership in creating and launching The Lexicon Bracknell. Ranked the 33rd top shopping destination in the UK by industry commentator, Trevor Wood Associates, up from its previous ranking of 255th in 2017 (prior to its launch) , customer satisfaction remains extremely high. The Lexicon Bracknell’s net promoter score is +48 compared to an industry average of +15 with the proportion of Affluent Achievers and Rising Prosperity shoppers, both above the UK average, accounting for 48% of total visitors. Both retailers and F&B operators have reported hugely successful trading since launch, meeting sales targets with retail strengths seen across the board including fashion clothing, footwear and in casual dining. Since its opening on 7th September 2017, The Lexicon Bracknell has drawn visitors from a wide spread of postcodes including Wokingham, Maidenhead, Henley-on-Thames, Windsor and Woking. Reflecting the strong footfall, long dwell times, frequency of visits and customers travelling from further away, the available spend on non-grocery items has been benchmarked by FSP at £724 million. This has quadrupled from £179 million prior to the major urban regeneration project, showing the benefits of the scheme. Joint agents for The Lexicon are CBRE and Lunson Mitchenall.